Halifax District RCMP and Halifax Regional Police are hoping, in the age of social media, that someone can help them identify a man found dead 10 years ago. On Oct. 8, 2004, police were called to a wooded area off Highway 102 near Halifax Stanfield International Airport after someone reported finding human remains. Ten years later, the person's identity remains a mystery. In an effort to identify the man, police have released a new sketch of the man and are showing the media the items found in a backpack near the remains. Investigators also have a DNA profile of the man they could match to potential relatives. Police say the man's death is not considered suspicious but they would not say how he died. 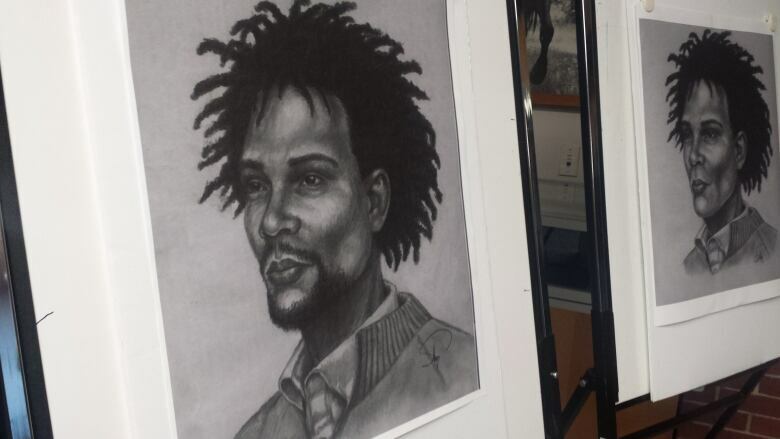 The man is described as a physically fit African-Canadian male estimated to be in his late 20s or early 30s with unbraided, medium-length, dreadlock hair. He's estimated to be five feet 11 inches tall and weighed 160 pounds. He appeared to have both ears pierced, although no jewelry was found. The man was found to be wearing a multi-coloured dress shirt, an Emilio-brand grey sweater, Lee blue jeans, and new beige Timberland hiking boots. Located near the subject was a pair of Dolce & Gabbana prescription glasses. 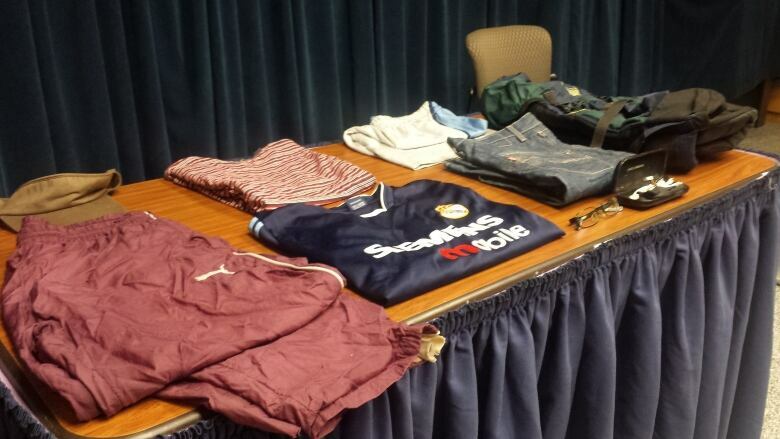 Also located near him was a McKinley brand backpack containing a number of neatly folded articles of clothing. Police are requesting that anyone with information on the identification of this man to contact the police at 902-490-5180 or their local police department. Anonymous tips can be sent to Crime Stoppers by calling toll-free 1-800-222-TIPS (8477).